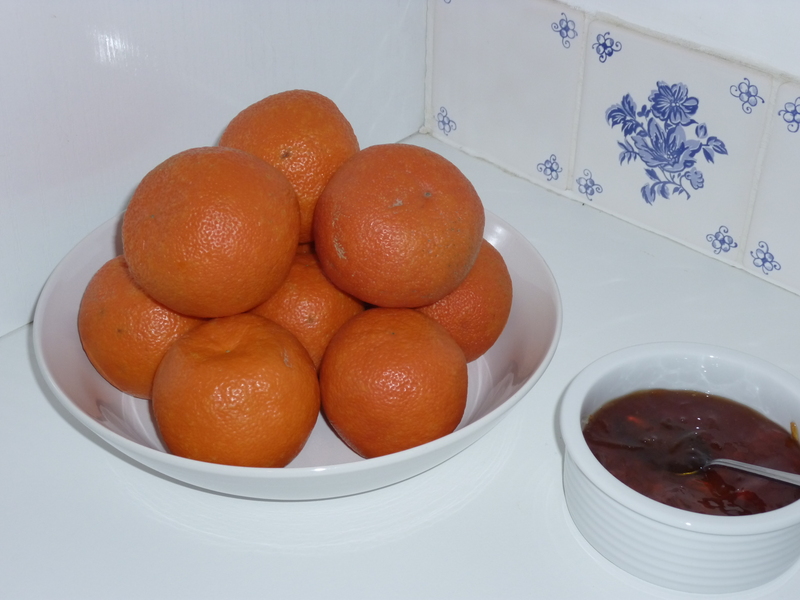 When the Seville oranges appear shortly after New Year, it is time to start making marmalade. This year, I have made two different batches, one flavoured with Laphroaig whisky. They are both a dark colour with that distinct bitter tang – delicious on toast. I also use this marmalade when making bread and butter pudding and on my Chocolate Orange cake – sponge with a layer of marmalade, topped with a dark chocolate layer. This is most definitely a cake unlike the ‘Jaffa Cake’! 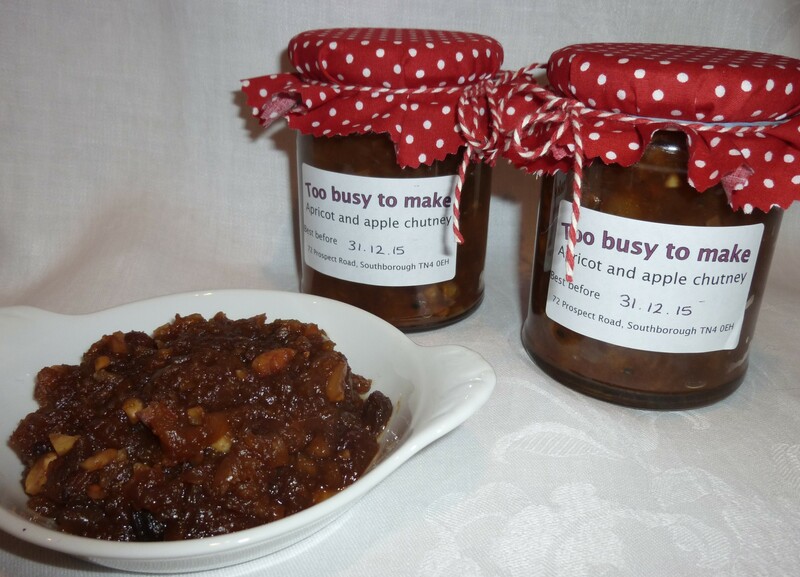 This chutney is made with dried apricots, apples, onions and sultanas and is spiced with fresh ginger and cardamom seeds. 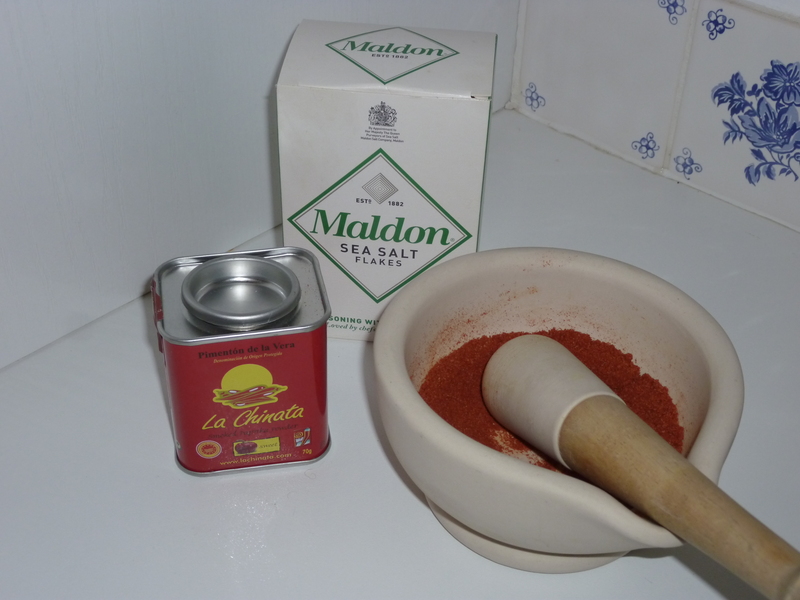 It is delicious with hard English cheese and cold meats – a welcome addition to a Christmas hamper or a summer buffet. My family love carrot cake so when I read about this cake, I had to try it and it has quickly become another family favourite. 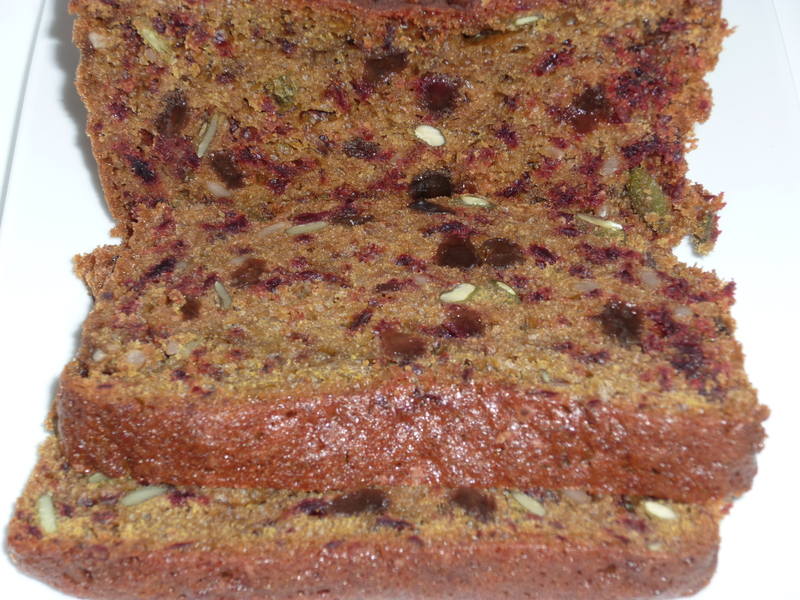 It contains grated beetroot, sunflower and pumpkin seeds and uses oil rather than butter. This makes a deliciously different cake which you can almost fool youself is good for you! 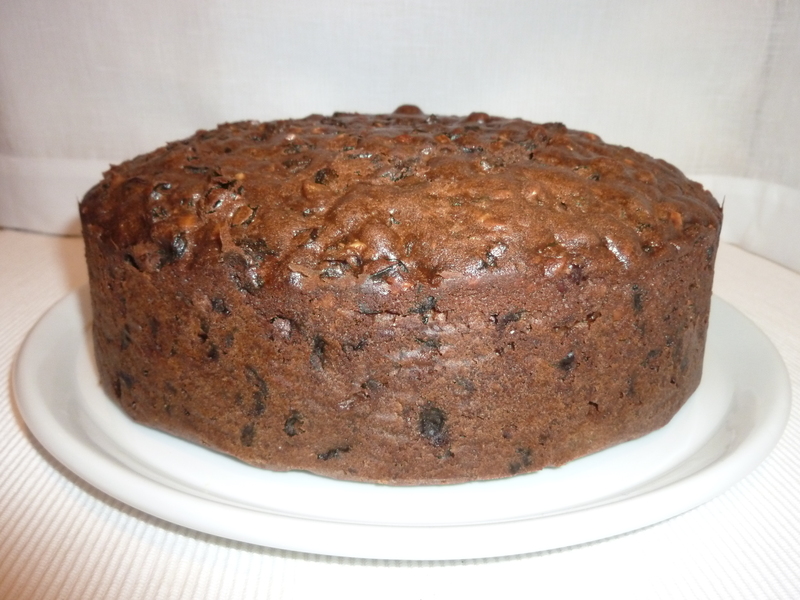 This traditional rich fruit cake has been my favourite for many years. 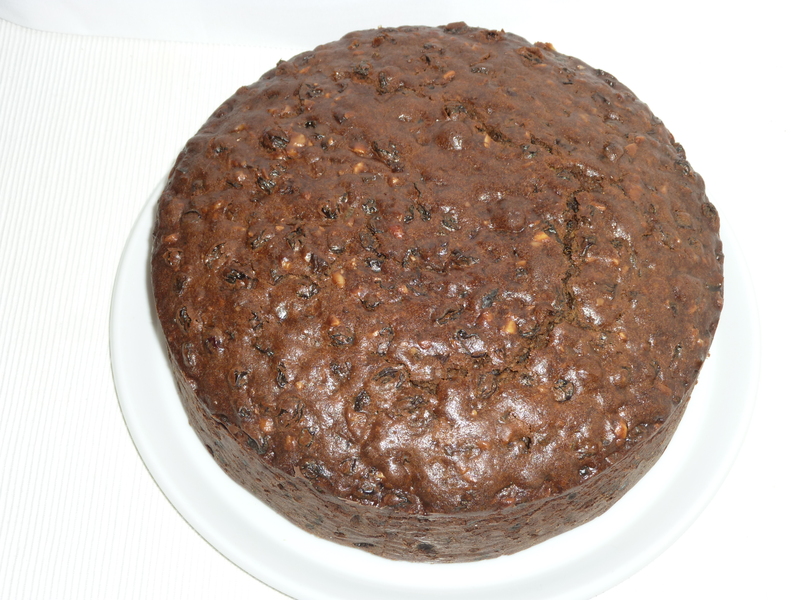 It is packed with a mixture of dried fruits which have been soaked in brandy. This helps the fruit stay moist and the cake will last for ages. I made three of these cakes for my wedding 25 years ago. One layer was eaten at the time, one was kept for the christening of our first child and the top layer is still safely stored away. Every Christmas, I make this cake for our family. It will last until Easter if stored carefully. I normally cover it in marzipan and a lemon butter icing which help stop the cake from drying out. These delicate wafers are gluten free but full of flavour. I had been reading through various recipe books, looking for gluten free savoury snacks to make for a friend’s birthday but could only find ones using flour substitutes which were not in my larder; so these were an experiment using what I had to hand. They were very popular and I shall keep making them regularly as well as trying out new variations. 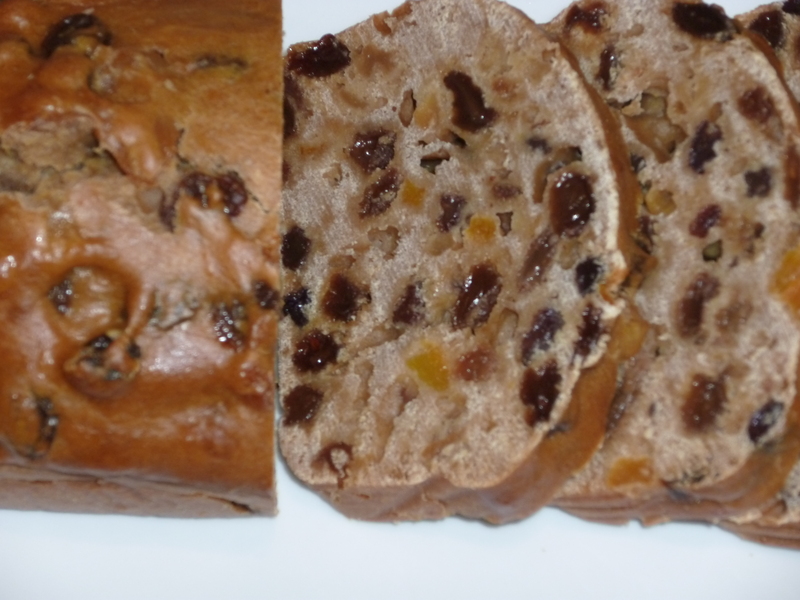 This tea loaf is a very different texture to other cakes – it contains no fat and the fruit is heated in tea before having the other ingredients added. The fruits used can vary accoring to whatever you have available, as can the tea. I made this loaf with Darjeeling but could have used Earl Grey, Lapsang Souchong or Russian Caravan. It can be eaten as it is, but also tastes delicious with butter spread on it. 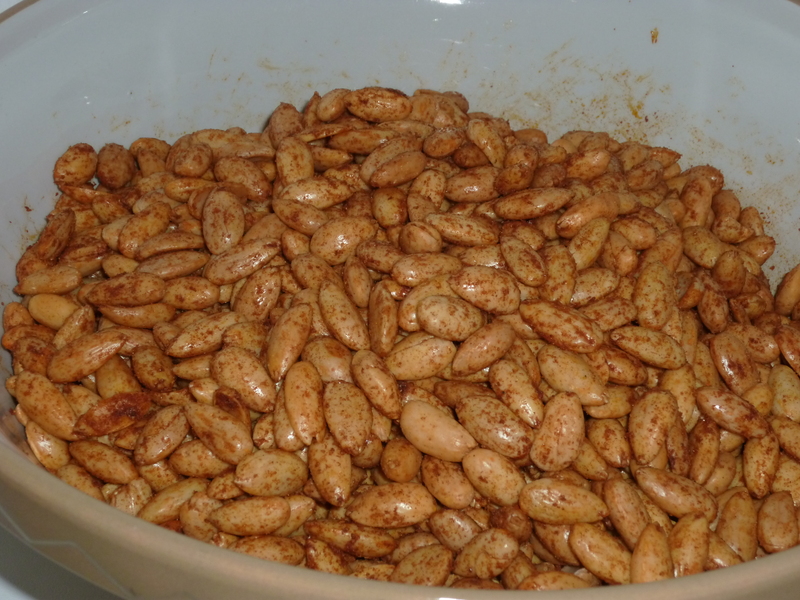 Almonds roasted and coated in smoked paprika, olive oil and sea salt – delicious with a glass of very dry fino sherry. These take a little while to prepare, especially if you buy the almonds with their skins still on. But the time and effort are worthwhile. They are usually available at South Downs Cellars in Hurstpierpoint. 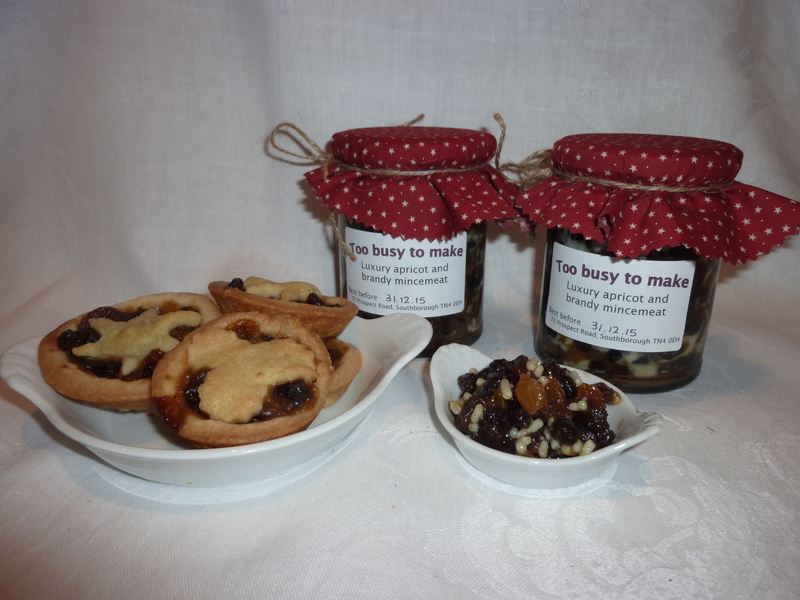 I have been making my own mincemeat for more than 30 years. 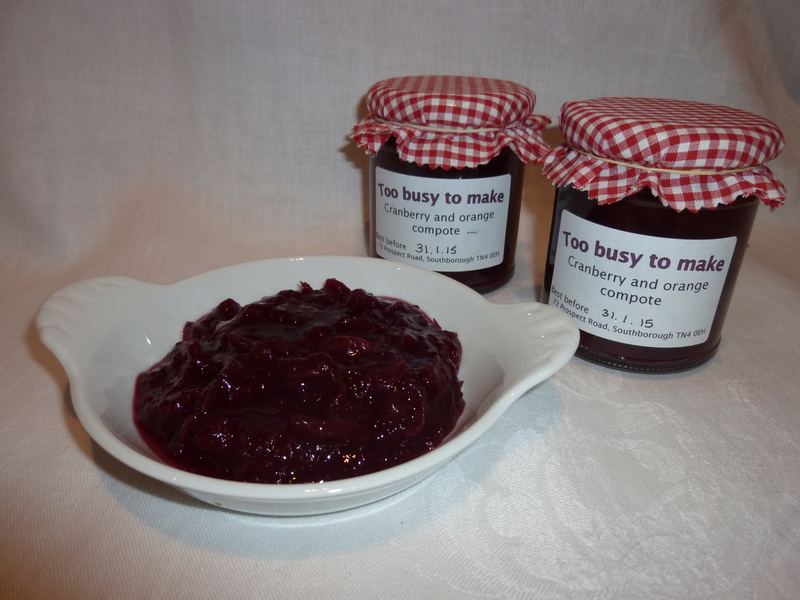 It tastes so much better than most of the shop-bought ones and is definitely worth the effort. The fruit becomes glossy and almost jewel like with the addition of the brandy and lime juice. 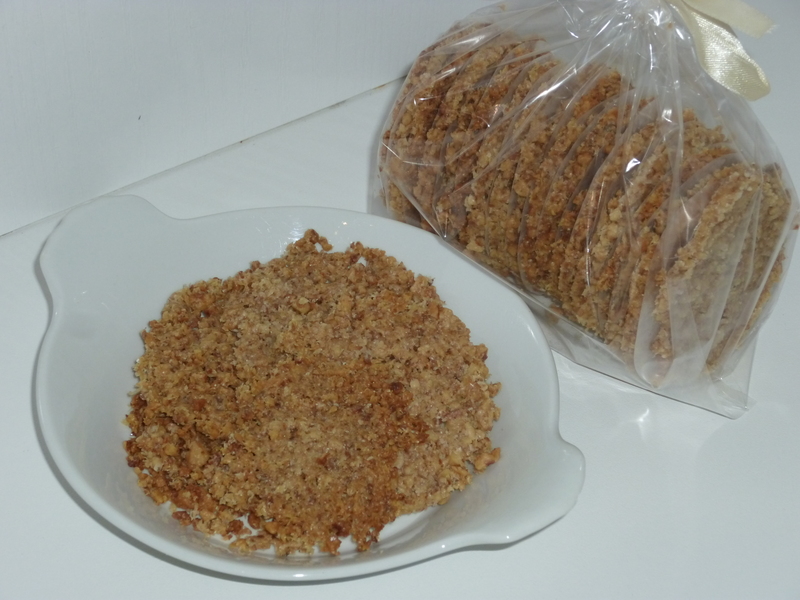 I use it in mince pies and also add a couple of tablespoons to an apple crumble for an interesting twist. It also tastes excellent when used to stuff baked apples – just remember to score the apple to stop it exploding! It contains dried apricots as well as raisins, sultanas and currants and I use vegetable suet which makes it ok for vegetarians but unfortunately not for those on a gluten-free diet. I can make it gluten-free but that would be using beef suet so not vegetarian. It lasts well (at least 9 months) if kept in the fridge once opened.